How to recognize an organic cosmetic? Can you recognize an organic cosmetic from a natural or traditional cosmetic? In this blog post we give you some tips to find your bearings in eco-organic cosmetic world. Very often, words such as ORGANIC and GREEN are used to marketing claims on cosmetic packagings to draw attention of consumers close to health and natural wellness world. These claims are marketing strategies that, sometimes, are not real: some years ago we used to call these practices “Greenwshing”. It means that a company promotes itself like a green company to win consumers over, without a real care to environment. Nowadays, citizens and consumers can get more information about companies, products and services, thanks to smartphones and their connections to the Web: but the trap always is near. 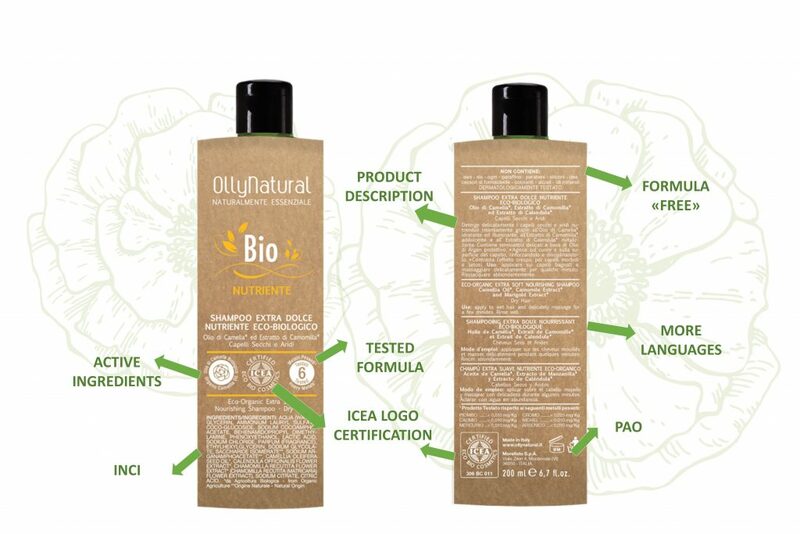 In particular, in the beauty world we cannot identify a unique regulation to the production of organic cosmetics: for these reasons we have created this little guide for the purchasing of organic beauty products. First of all, it is important to say that for food there is a European law for certification, while in cosmetic it doesn’t. The question is: how can we understand if a product is a real organic cosmetic? use green specify apps, forum and websites. We have to learn to read the INCI (International Nomenclature of Cosmetic Ingredients), the list of ingredients in a cosmetic formula. It is used in the UE, United States, Russia, Brazil, Canada and South Africa. In the INCI, ingredients are in decreasing order of concentration: at the beginning there are ingredients with more concentration and then the others. Below 1% of concentration ingredients can be in random order. Often, in the INCI formula ingredients from organic agriculture can be indicated with one asterisk, while ingredients from natural origin can be indicated with two asterisks. In reference to the certification, organic cosmetics must be certified: in Italy the most famous is Certified Eco Bio Cosmetics ICEA. Others certifications are: AIAB (Italian association for Organic Agriculture), Organic Certification Cosmetic Ccpb, NaTrue, CosmOS and more. All of them have a logo can we find on the label. other icons indicate the formula tests. è verde?, a database rich in cosmetic product formulas; moreover, you can write your review about a product. Biotiful, app that recognize a product through the Ean code. Inci Ok, app that recognize a product through the Ean code; it give a score about the product quality too. Saicosatispalmi, forum that say you if a cosmetic is organic or not. Do you have some tips to add? Write them in the comments below!